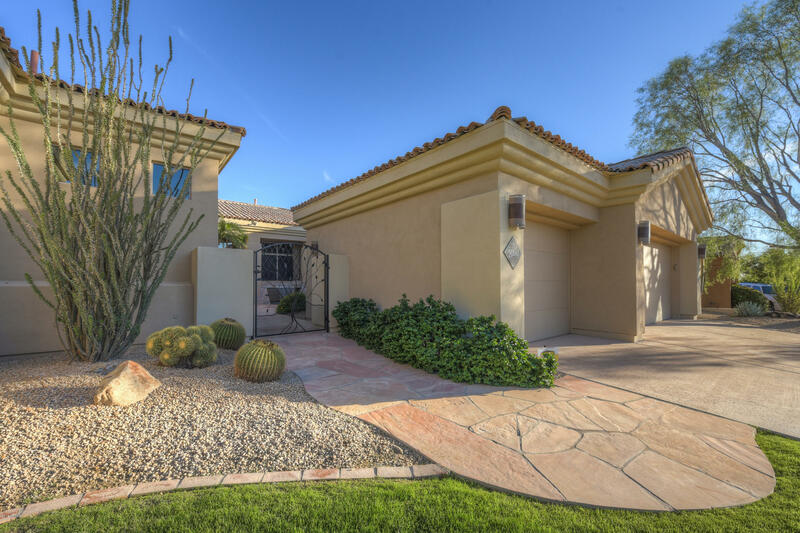 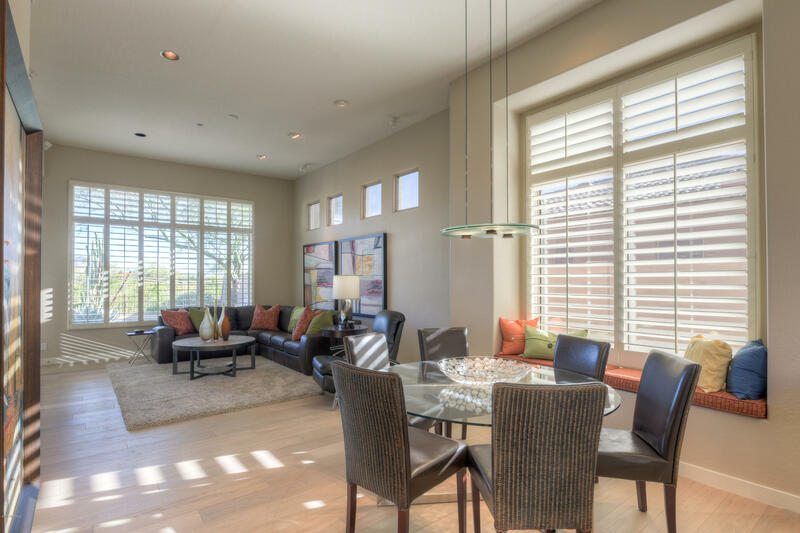 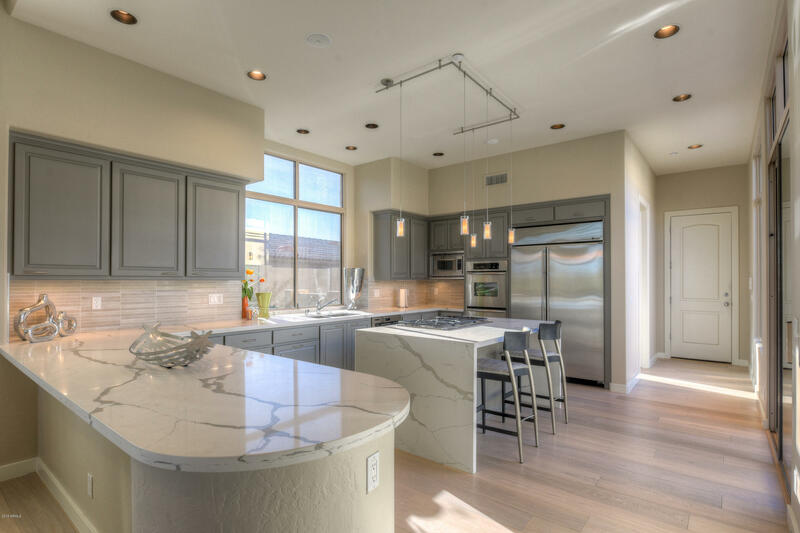 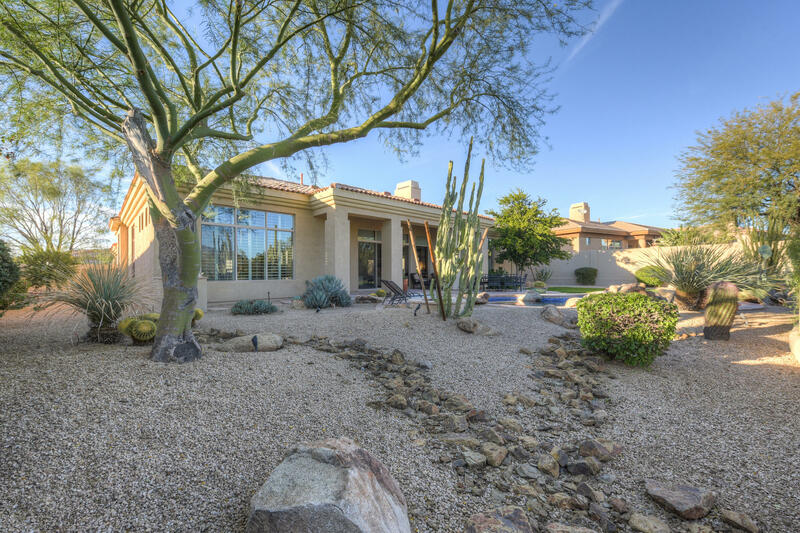 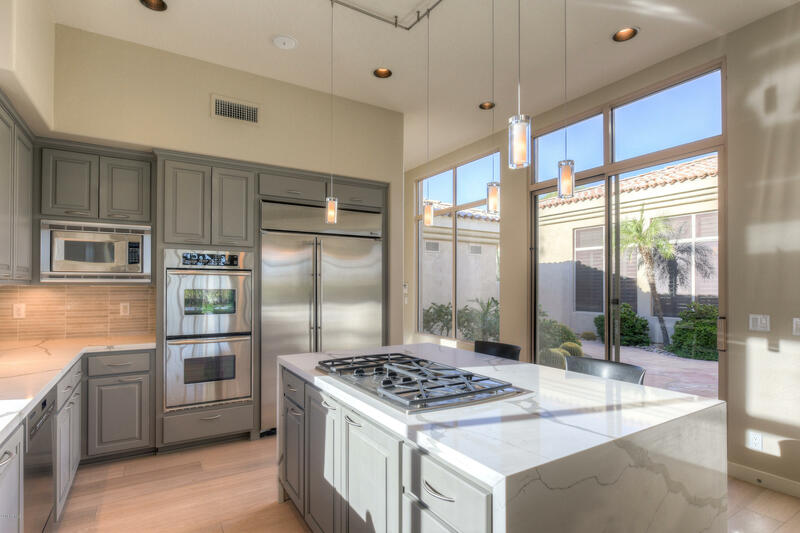 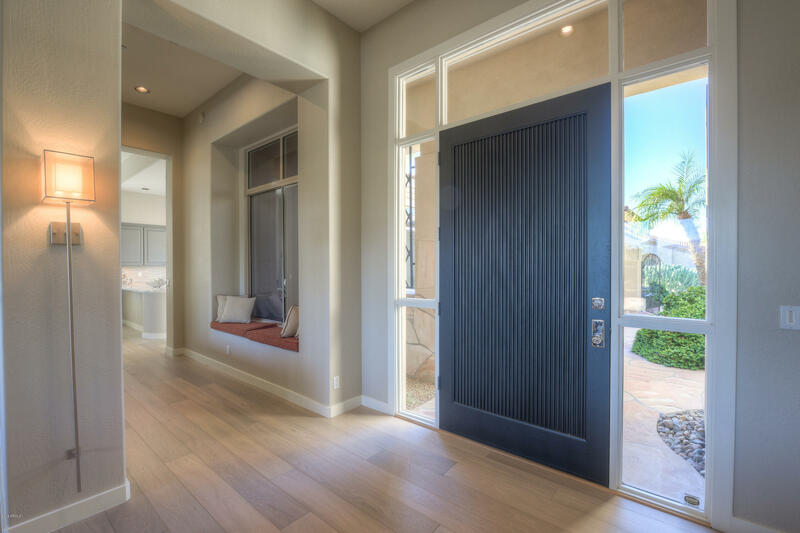 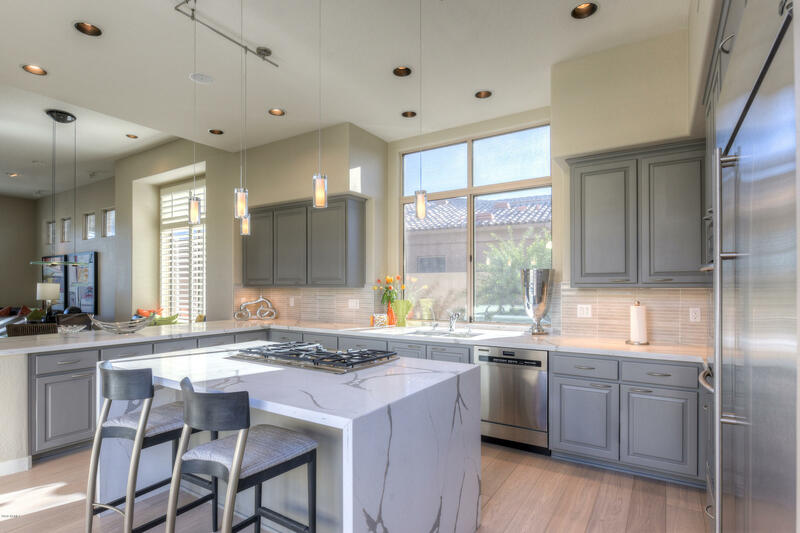 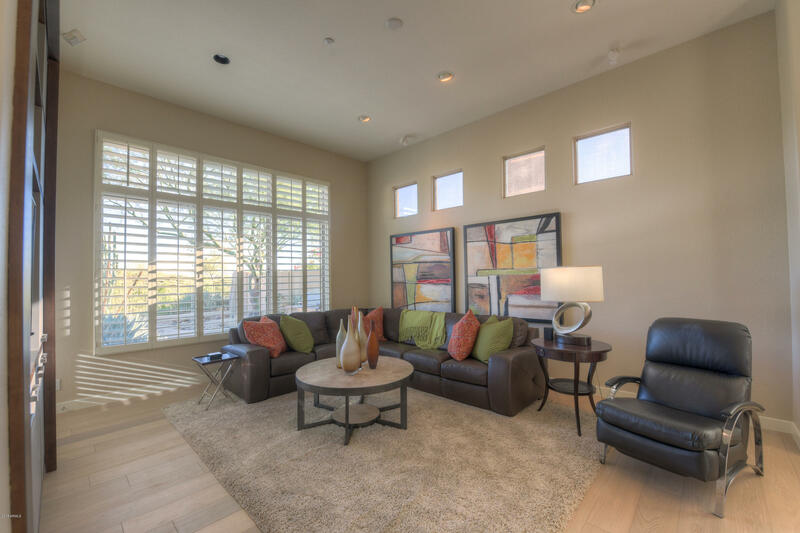 This applauseworthy soft contemporary, on the 4th fairway of Grayhawk's Raptor golf course, offers McDowell Mtn views, tasteful finishes, natural light, privacy and tranquility. 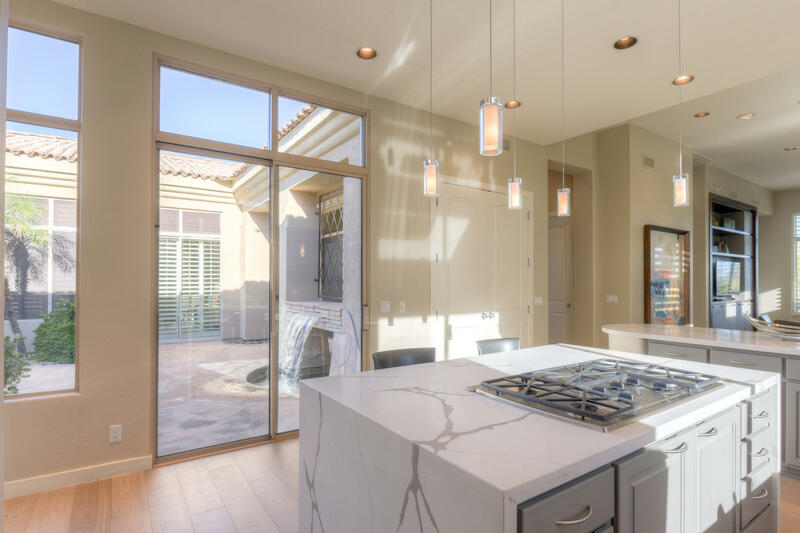 Recent renovations include kitchen counters and island with striking quartz surfaces, extensive wood flooring, built-ins in family room, reimagined powder room and guest bath, and an additional 4th bedroom with ensuite bath. 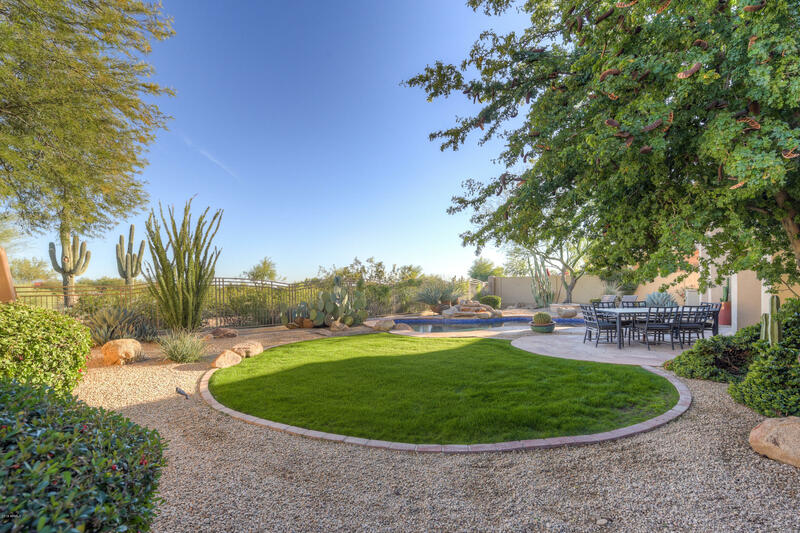 Living and dining rooms separate from kitchen and family areas, guest bedrooms split from master, gracious courtyard with water feature, back yard heated pool and fire pit. 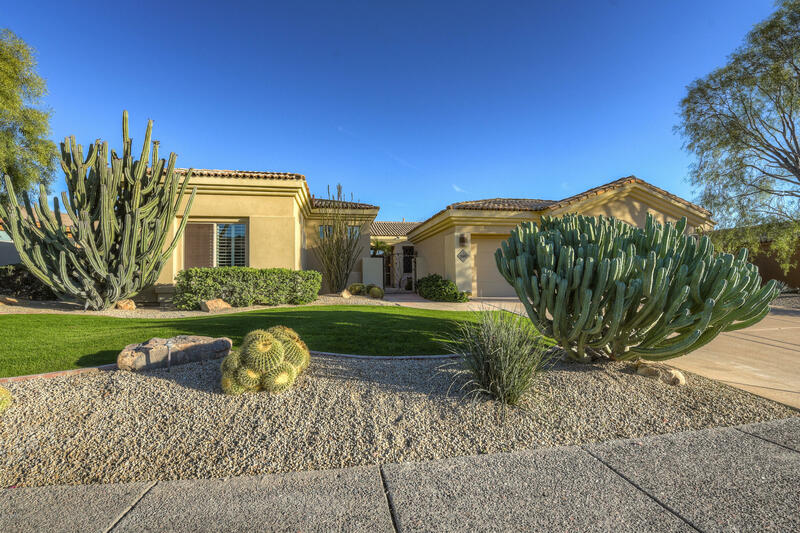 Only single level homes in this neighborhood. 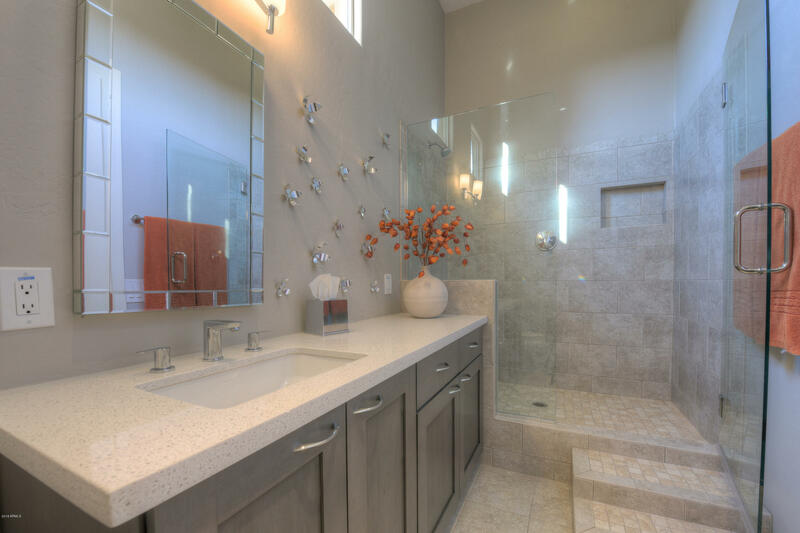 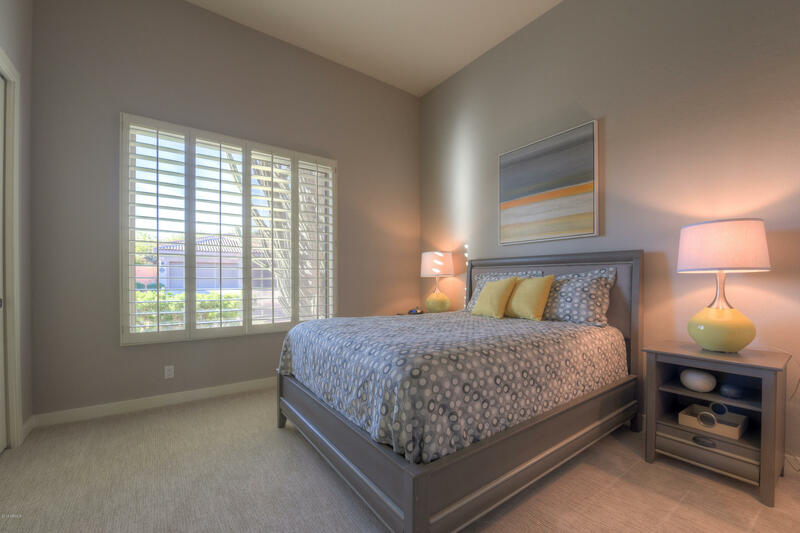 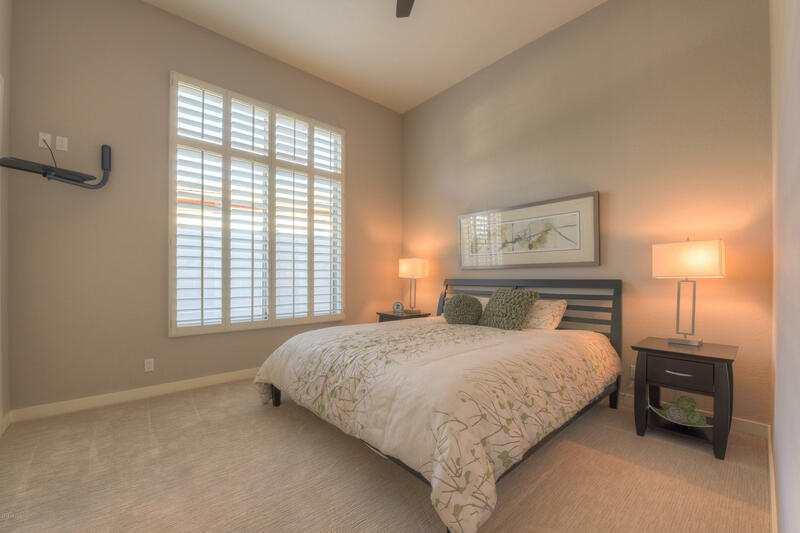 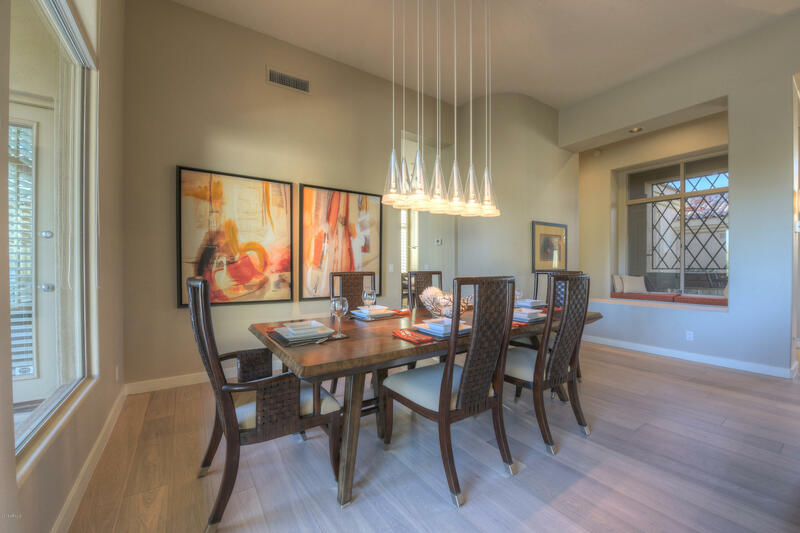 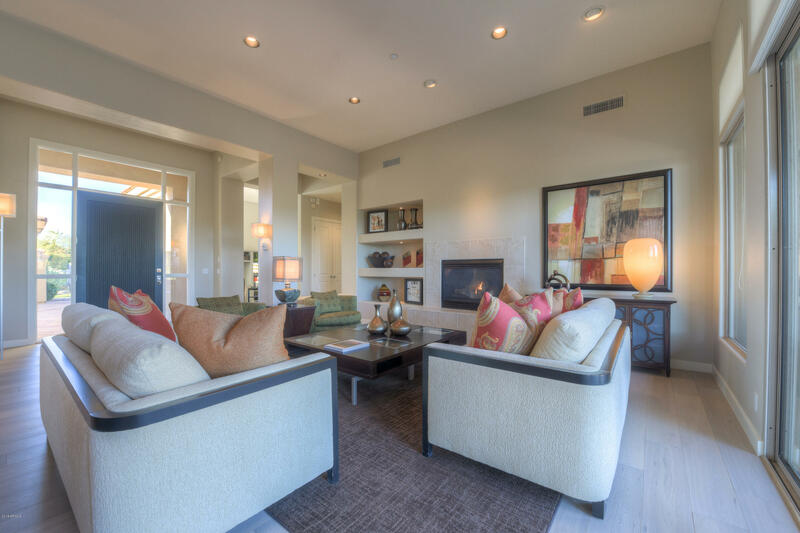 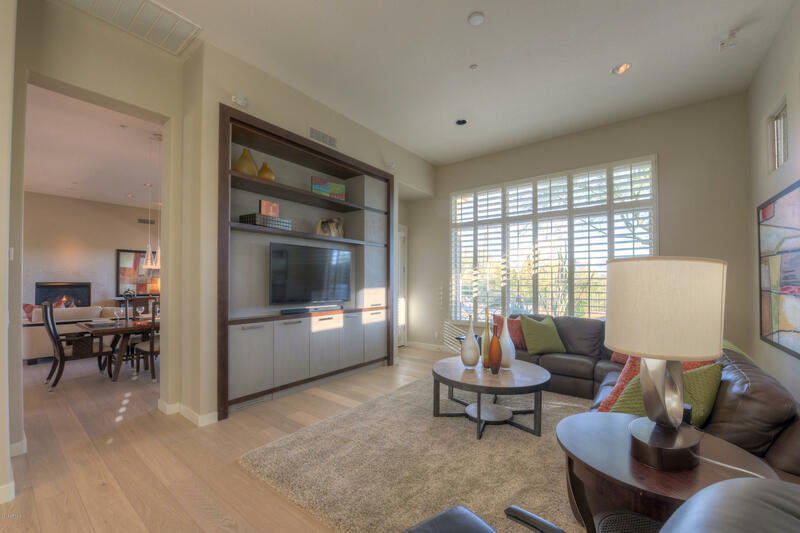 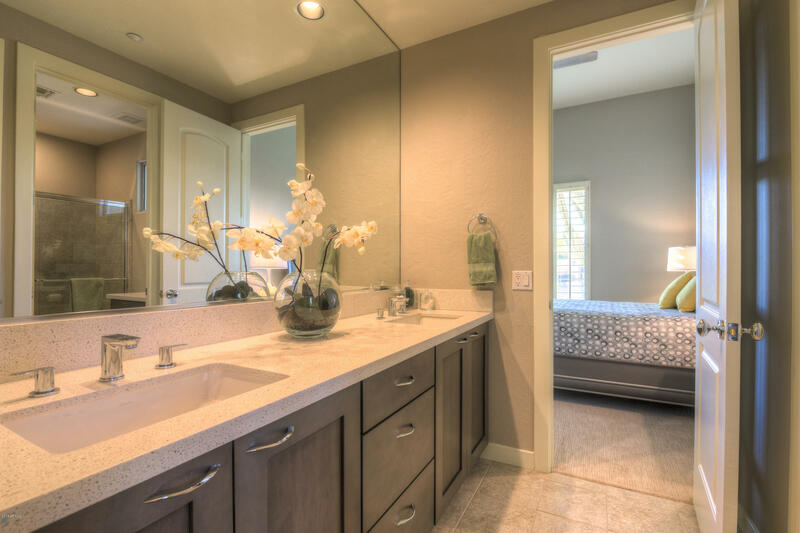 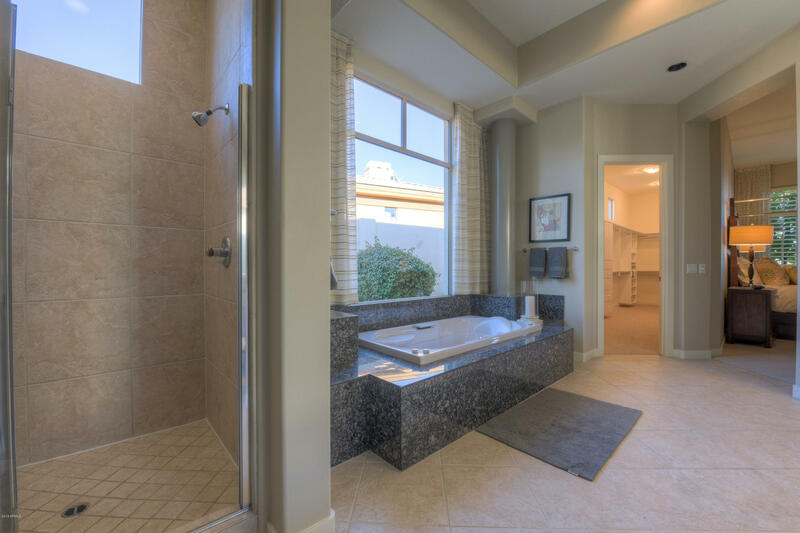 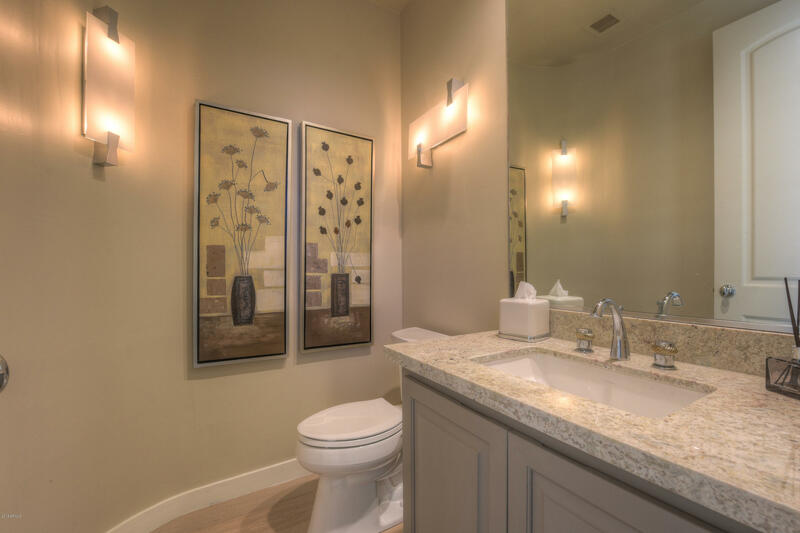 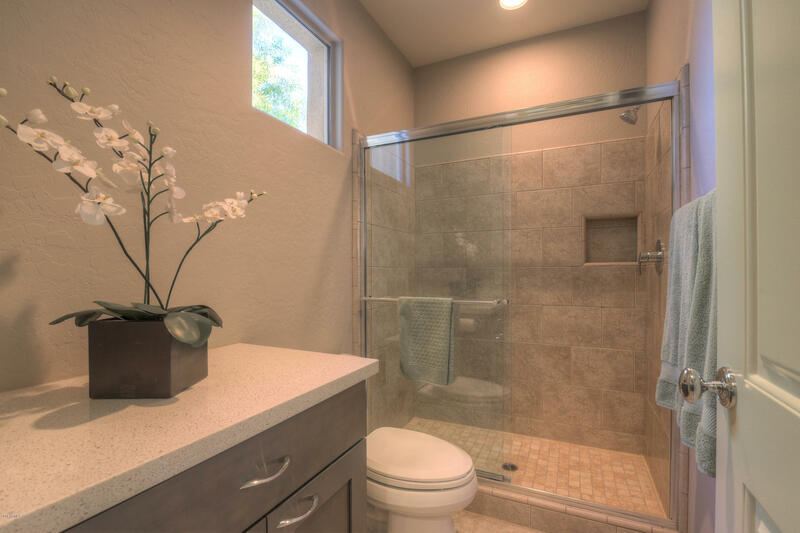 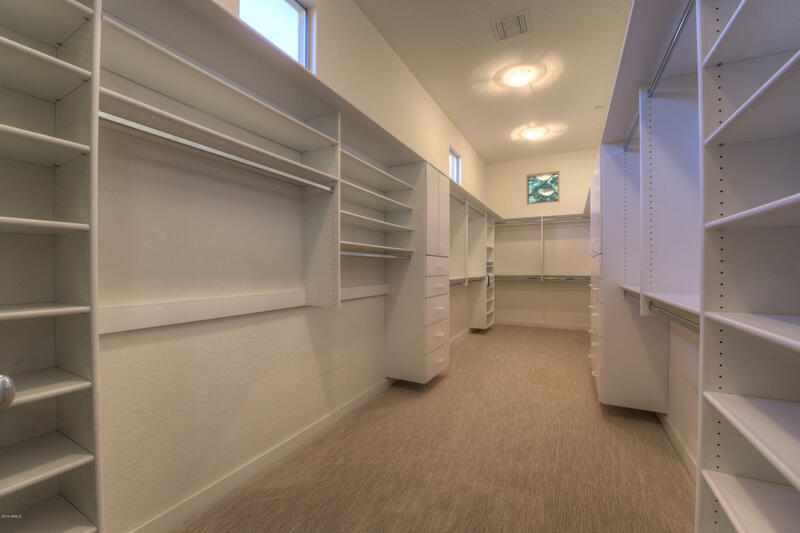 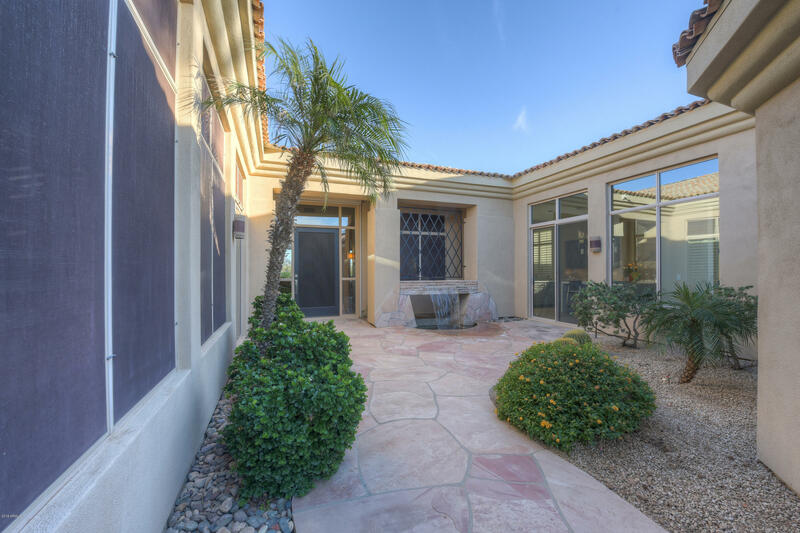 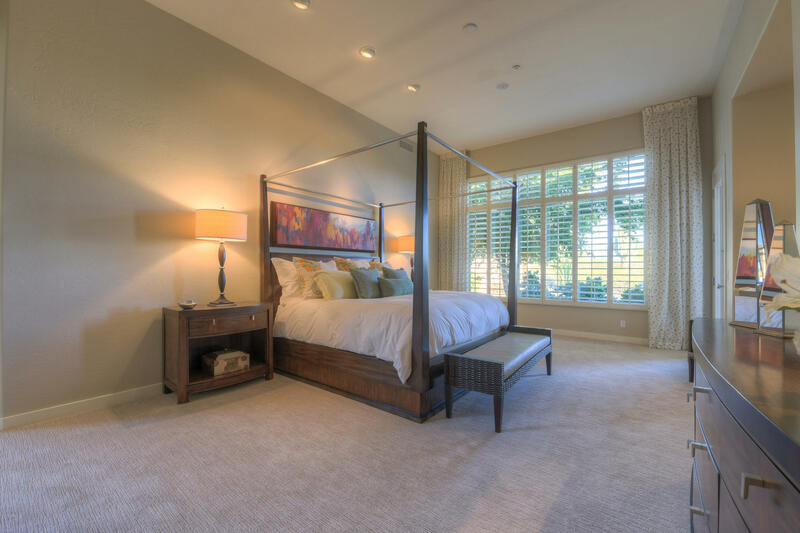 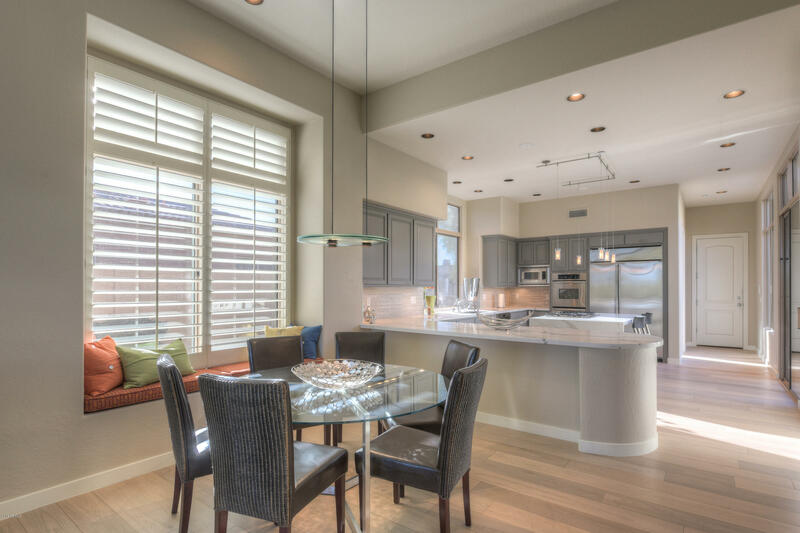 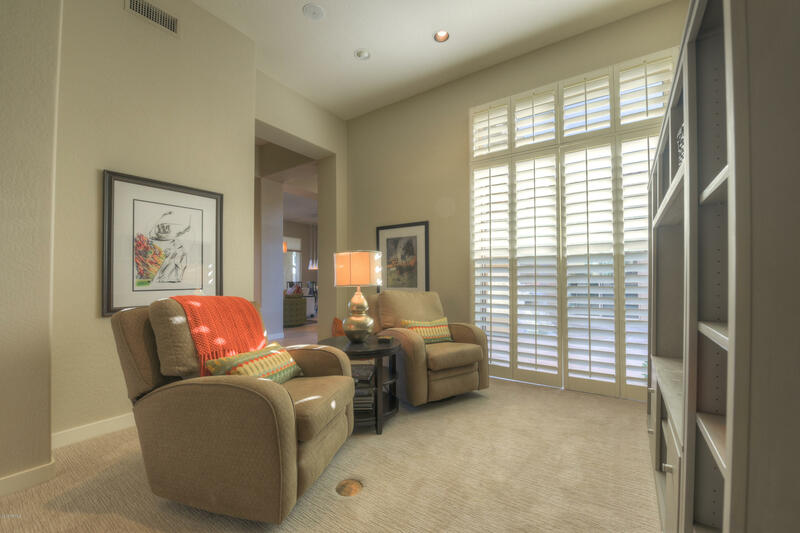 Very convenient to Scottsdale's shopping, dining, recreational, entertainment, heath care, and other amenities. 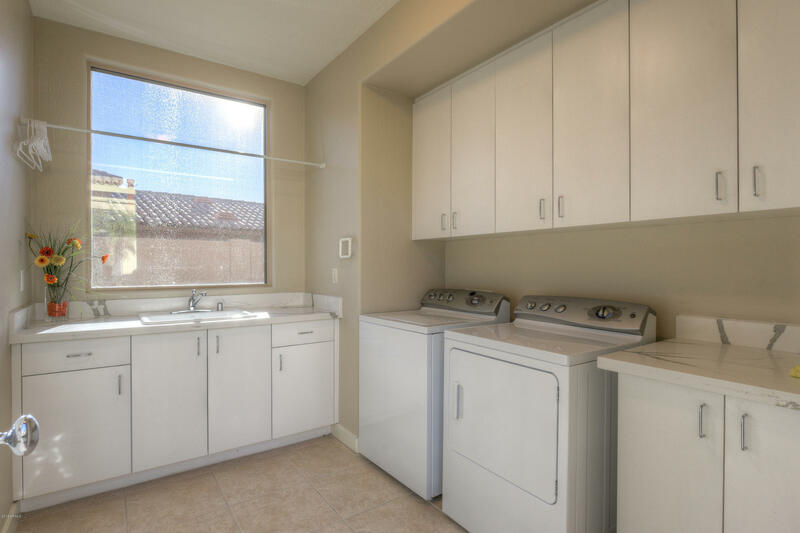 Lightly lived in, move-in ready. 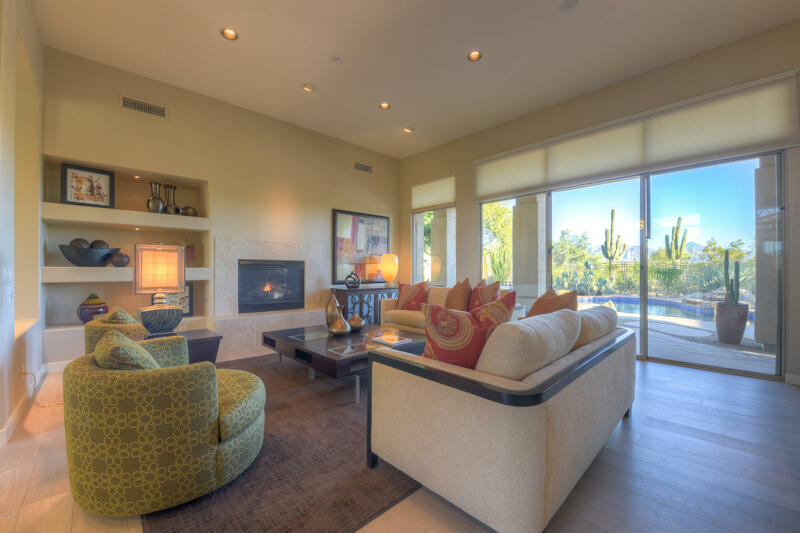 Furnishings available separately.